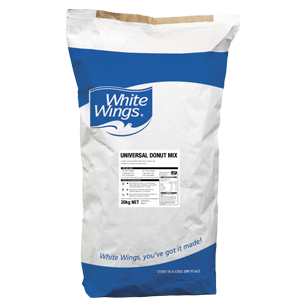 White Wings Universal Donut Mix is a premium donut mix. It is simple to prepare, with just the addition of water required. 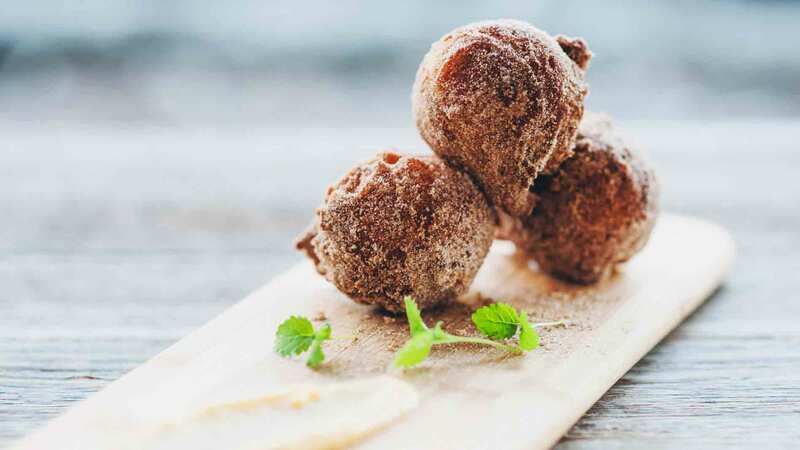 Get creative and experiment with different donut flavours! Wheat flour, sugar, skim milk powder, vegetable fats and oils (soy), mineral salts (339, 341, 450), raising agent (sodium bicarbonate), egg powder, salt, soy flour, flavours, maltodextrin, spice extract. 1. Blend mix and cold water together for 1 minute at low speed. 2. Mix on medium speed for 1 minute. 3. Rest mixture for 10 minutes. Follow equipment manufacturers instructions for frying the donuts. Suitable for use in various automatic or hand operated donut equipment.